If you’re an emerging creative business or an established one looking to develop, this event is for you. Featuring a who’s who of the contemporary arts world, this revealing panel will get into the gritty details of what makes a creative business work. Panel members will discuss questions such as how to get funded, how to get the most out of your social media channels, how to make tax work for you, how to increase your chances in getting exhibitions (What are the DOs and DON’Ts in getting exhibitions), the biggest challenges of running a creative business, and how to overcome them. There will be an opportunity to network with wine and cheese after the panel. Shini Pararajasingham is the Founding Director of Off the Kerb Gallery since 2007. Her role is in the gallery’s strategic direction and designing an exhibition calendar that contributes to Melbourne’s dynamic arts scene. She has a Bachelor of Fine Arts (Painting), Monash University and a Bachelor of Arts (Psychology)/Business Marketing, Monash University. Sean Carroll is the director and curator of Collingwood culture hub Backwoods Gallery. Since founding his first creative business in 2009, he has grown to become an experienced director, advisor and curator in the art industry. Despite his title or status of the gallery, it’s artists and guests; Sean remains a behind-the-scenes, role your sleeves up, how can we do better next time, kind of leader who thrives on a challenge and is always happy to help. Belinda Collins is a Director of art and warehouse space, Besser Space. 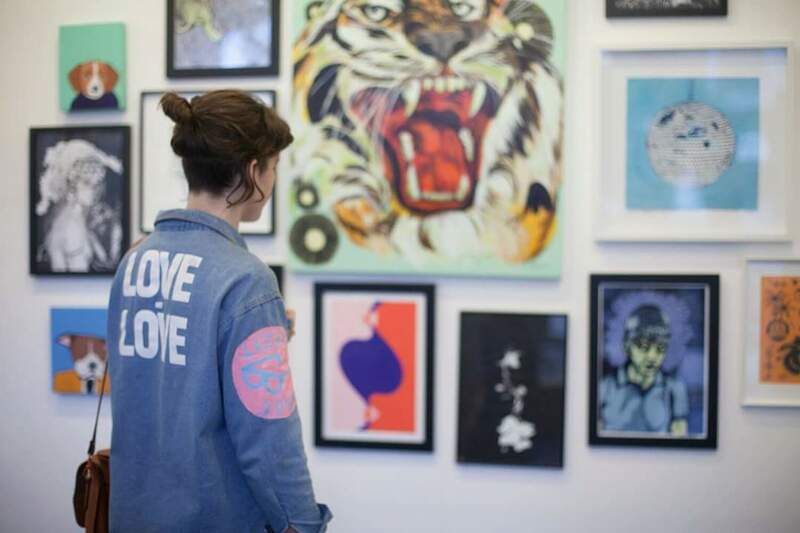 A collaborative side hustle of three business partners, the past two years have seen Australia’s most prominent street artists and creatives pass through its doors including Anthony Lister, Reko Rennie, Kaffeine, Lucy Lucy, Sofar Sounds and more. Besser hosts contemporary exhibitions, photography and fashion shows, market pop-ups and more. Belinda is also the founder and Creative Director of The Social Crew Event Agency who deliver small scale to major events across Australia. Line Paras is the founder of Counting Clouds, providing bookkeeping and business support services to the creatives of Melbourne since 2012. Line and her team work with the money matters of performers, artists and creative small businesses. They help ensure everyone gets paid and keeps enough money aside to stay on top of superannuation, rainy days and the tax man. This event is booked out but you can register below to put your name on the waiting list. This event is supported by the City of Yarra.